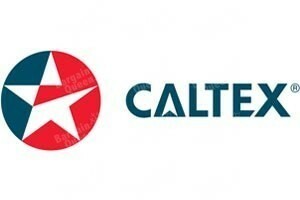 OCBC: Redeem $3 OFF Petrol Purchase at Caltex via OCBC WowDeals App now! Save on petrol! 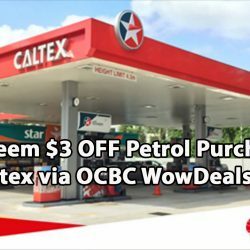 Download the OCBC WowDeals app and redeem S$3 off with a minimum S$60 gross petrol purchase at Caltex Singapore! Limited to the first 1780 redeemers so hurry! Voucher is valid till 5 June 2016. 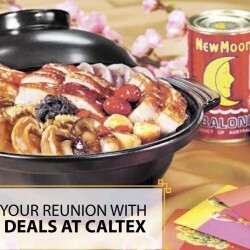 Exclusively for OCBC cardmembers, complete your reunion with abalone deals at Caltex from now till 29 February 2016! Buy 1 get 1 free New Moon South Africa Braised Abalone (Limited to first 1,200 cans), get $4 off every New Moon Abalone can/set with min. $40 gross fuel spend or every 2 New Moon Abalone cans/sets without fuel spend. 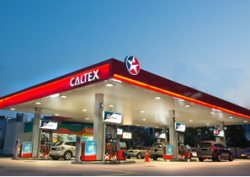 Come and enjoy In celebration of SAF Day this 2015, SAFRA brings you the best petrol discount at Caltex!Receive a whopping 20% off petrol for a limited period only so what are you waiting for? hurry grab yours today! 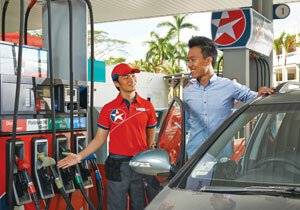 Show your SAFRA card at any Caltex to get the offer.